Building permits are currently under review for a student housing development at NW 16th and Marshall. The 6-story building is being designed and developed by Kōz Development, who are based in Snohomish, Washington. The building will include 80 residential units for students at levels 2 through 5, and two retail spaces at the ground floor. 7 vehicular parking spaces and long term 86 bicycle parking spaces are proposed. 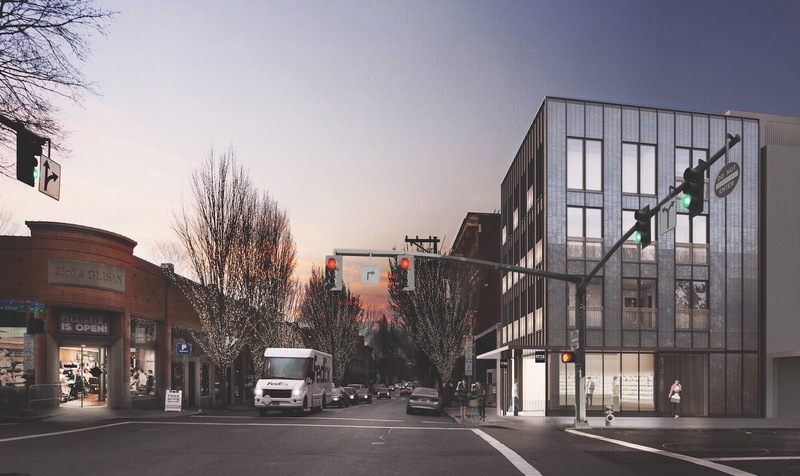 9747 NE Glisan St, as shown to the Design Commission at a Design Advice Request hearing in February 2018. The development by Northwest Housing Alternatives will include 159 units of affordable housing. Every week, the Bureau of Development Services publishes lists of Early Assistance applications, Land Use Reviews and Building Permits processed in the previous week. We publish the highlights. This post covers August 20th to August 26th, 2018. 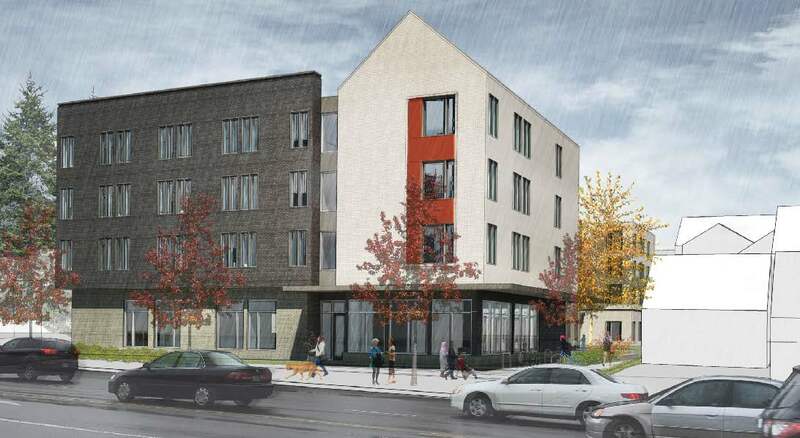 New 159 unit 90000 sq ft affordable housing complex – includes 7000 sq ft for community rooms, administrative offices and bike storage, includes associated site work and on site parking. The renovation of the Wells Fargo Center, designed by West of West and SERA Architects for the Lincoln Property Company, will include infilling the existing drive through at the data processing building on SW 4th Ave.
Every week, the Bureau of Development Services publishes lists of Early Assistance applications, Land Use Reviews and Building Permits processed in the previous week. We publish the highlights. This post covers August 13th to August 19th, 2018. New 3-story, 6 unit apartment building with 32 sf trash enclosure and F2 screen fence around mechanical equipment. 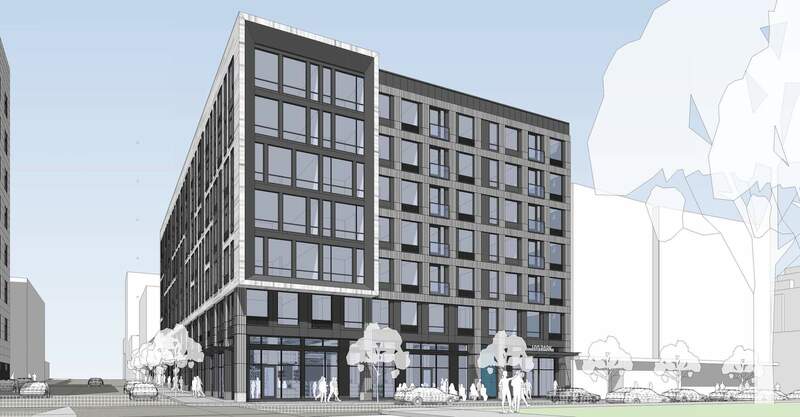 A proposed development at 815 W Burnside St has gone in front of the Design Commission three times to receive Design Advice. 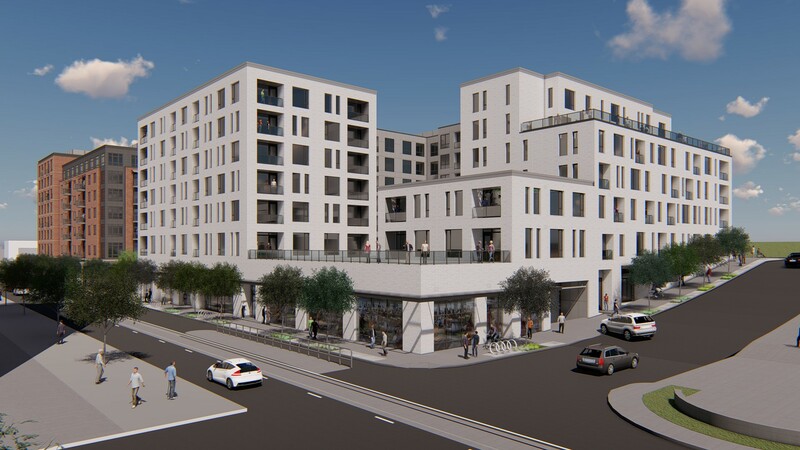 The 7 story building is being designed by Ankrom Moisan Architecture for LMC Development, and would include 144 residential units, ground-floor commercial space, 50 below-grade parking spaces, and a rooftop outdoor deck. The project could be the first Central City development to be approved that is subject to the city’s Inclusionary Housing requirements, which were introduced in February 2017. Buildings in the Central City are required to provide either 10% of the units at prices affordable to people earning 60% of area median income or 20% of the units at prices affordable to people earning 80% of area median income. This is an updated version of a post originally published on February 23rd, 2017. Construction is underway on Modera Glisan, a new mixed use building in the Pearl District designed by SERA Architects. The 12 story, 145’ tall building for Mill Creek Residential Trust will include 291 residential units at the upper floors, which ground floor retail / commercial space facing all four adjacent streets. Below grade parking for 223 vehicles is proposed. Long term parking for 445 bicycles will be provided. 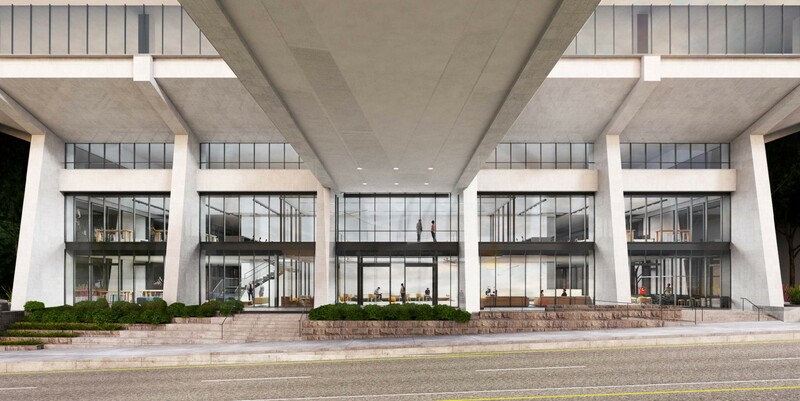 A building permit is under review for Alamo Manhattan and Hensley Lamkin Rachel Architects’ South Waterfront Block 40. Every week, the Bureau of Development Services publishes lists of Early Assistance applications, Land Use Reviews and Building Permits processed in the previous week. We publish the highlights. This post covers August 6th to August 12th, 2018. New mixed use apartment complex, approx 89,000 GSF with six levels of apartments above one level of retail and building amenity space. In two phases, demolish existing 1-story warehouse and bakery. Build new 3-story and 2-story buildings (connected) to house not-for-profit community organizations. Landscaped courtyard and side yard w/ porous pavement and stormwater filtration. Project is for a multi-story urban self-service storage building with ground floor commercial space. New 245,000 sq. ft./ 7-story/ 232 room apartment building, with 2 levels of parking below building. First floor has commercial spaces and amenities. Live Nation is planning a new concert venue in the building that was formerly home to the Lloyd Center’s Nordstrom. A new music venue by Live Nation is proposed as part of the Lloyd West Anchor Remodel, reports the Oregonian. 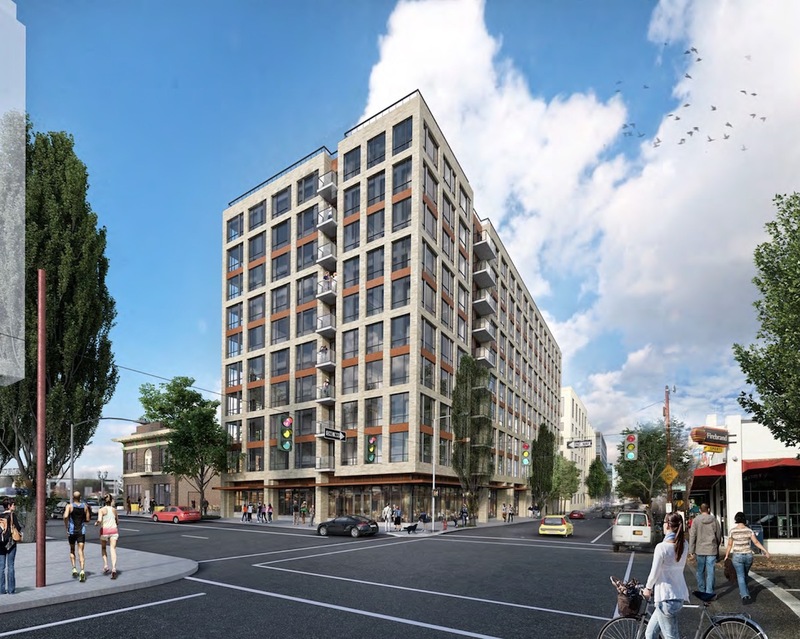 The Oregonian reports that despite problems with faulty cross-laminated timber panels at Oregon State University’s Peavy Hall, the product “remains hot with developers“, including Beam Development, who are using it at their District Office project in the Central Eastside. The Daily Journal of Commerce published photos of the newly completed Asian Health and Service Center in Lents. Portland Architecture visited the Pearl District’s Canopy Hotel to look at the custom printed aluminum panels on the hotel’s facade. 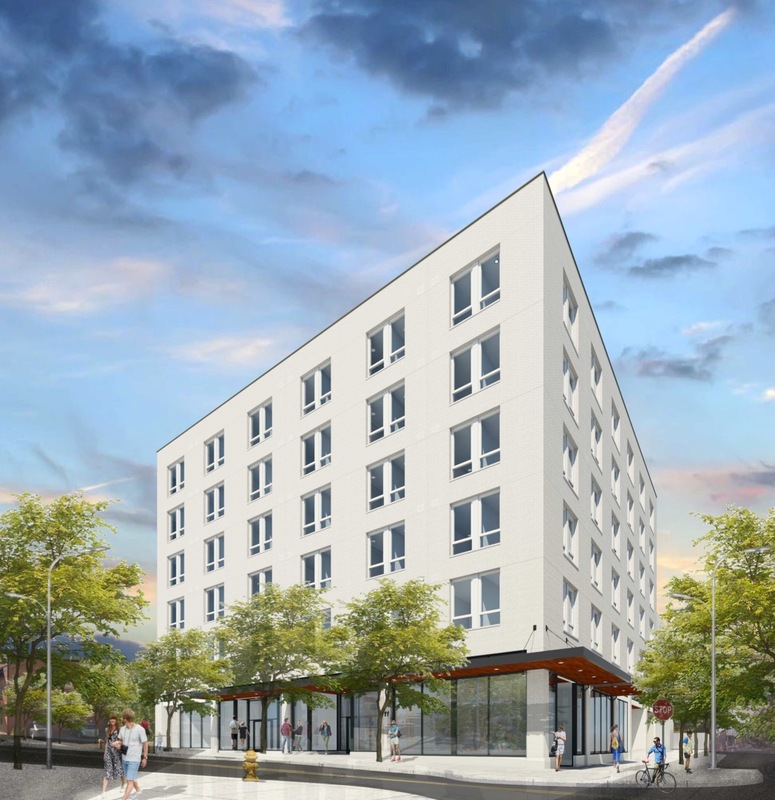 Wyndham Destinations confirmed that they are building the WorldMark Portland on SW Naito Parkway. 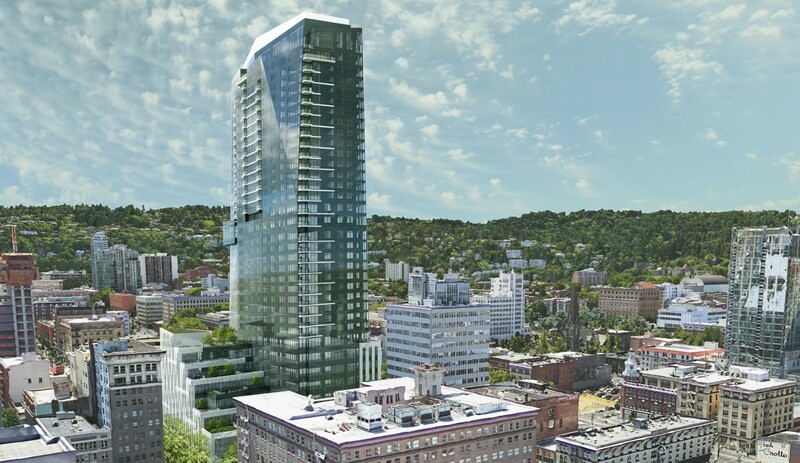 According to the Portland Business Journal the property will have “condo-style suites“. An October opening date has been set for the Powell Blvd Target at 3031 SE Powell, reports the Oregonian. 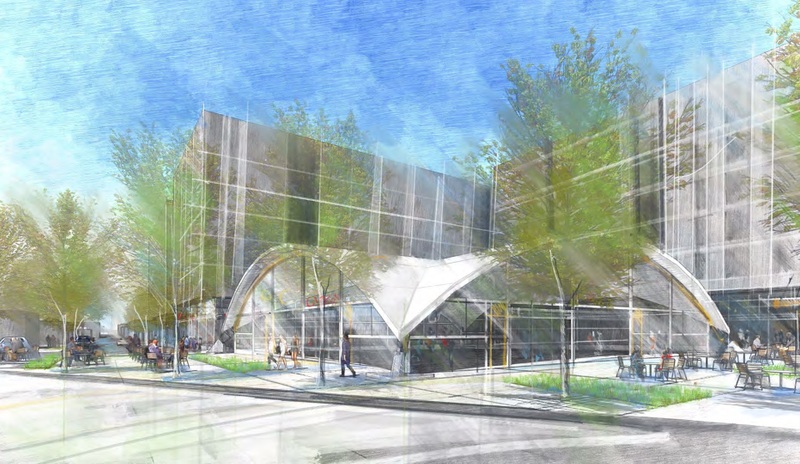 The Historic Landmarks Commission has approved a new building at NW 23rd and Glisan, the site of the 2016 gas explosion. The building will include five new residential units, over 1,007 sq ft of ground floor retail space. No vehicular parking is proposed. The building is being developed by A&R Development, the owners of the adjacent building at Robert and Ann Sacks House at 2281 NW Glisan St, which was seriously damaged in the explosion and is now being restored. The architects for the project are Allied Works, the original designers of the adjacent building.